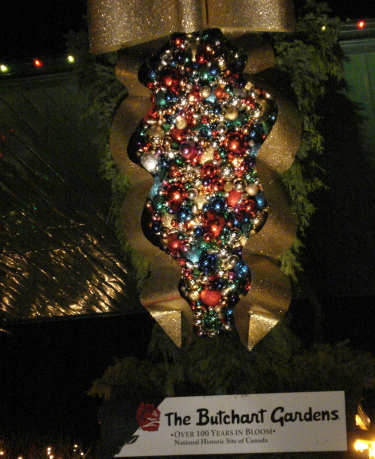 The Butchart Gardens is a wonderful place to enjoy during the Holiday Season. It is a National Historic Site of Canada and has been in bloom over 100 years. 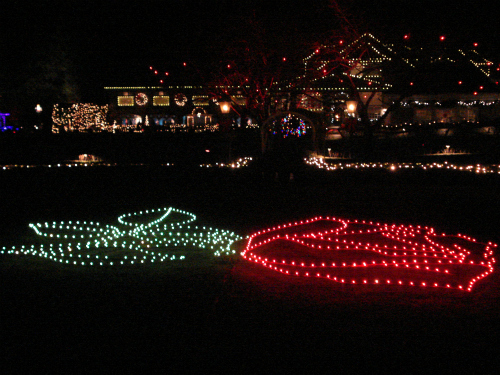 My son and I toured 'The Magic of Christmas' for the first time this year. 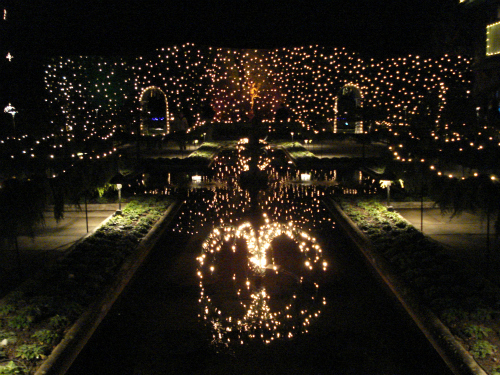 It was very chilly the evening we went so we walked quickly through the gardens and noticed many activities one can enjoy while viewing the Christmas lights. From December 1 - January 6, 2011. Ice Skating at the Butchart Gardens. Enjoy 3,300 sq. ft. open air ice skating rink from 9am - 9 pm and Christmas Day 1pm - 9pm. 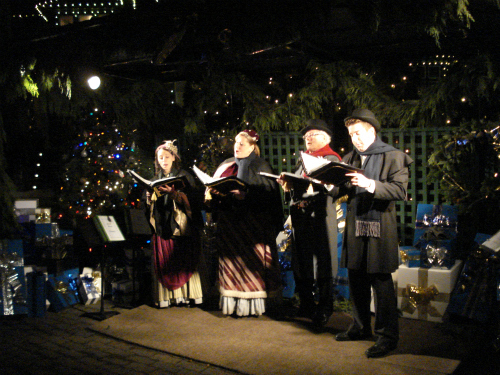 Traditional Carollers and Festive Brass performs nightly from 5pm - 9pm in the Piazza. The Rose Carousell is open daily 9:30 am - 9:30 pm at $2.00 per ride. Late opening on December 25th at 1:30pm. Tokens may be purchased in the Children's Pavilion. You can enjoy a decadent dinner with innovative dishes built around local Island-raised food at the Holiday Dining Room Restaurant. Dinner is served 5pm - 8pm and on December 25th set menu 3pm - 8pm and reservations are recommended. High Tea is served daily at 12pm - 3pm and on December 25th tea time is from 1pm - 1:30pm. Also offered is The Blue Poppy Restaurant, a beautiful, poinsettia-filled restaurant perfect for families, offering children's favourites. Cafeteria-style. Dinner is served from 4pm - 8pm. The Coffee Shop is open daily from 9am - 10pm and hot foods served from 11am - 3pm. If you get a chance I highly recommend it, it was really fun and even if you don't I wish you the best of the Holiday Season!